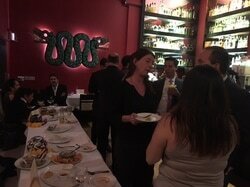 New Year's Networking Drinks!, it will be a great moment to meet, relax and network with other MexCC members. 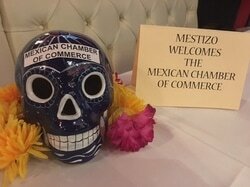 The event will be held from 18:45-21:00 hrs* at Mestizo Restaurant 103 Hamstead Road London NW1 3EL while we enjoy and delight ourselves this autumn with one of our classic mexican favorite drinks & nibbles, network with our member's community, hear about other businesses and learn all about yours! Non-members are welcome to join us network and learn more about the MexCC and our coming events previous registration. ​This will be the Last tuesday Drinks of 2016. Looking forwards seeing you there.